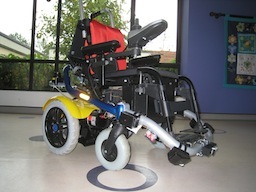 Just got news that our paper on the ARTY smart paediatric wheelchair was accepted to the IROS 2012 Workshop on Progress, Challenges and Future Perspectives in Navigation and Manipulation Assistance for Robotic Wheelchairs. Abstract: Standard powered wheelchairs are still heavily dependent on the cognitive capabilities of users. Unfortunately, this excludes disabled users who lack the required problem-solving and spatial skills, particularly young children. For these children to be denied powered mobility is a crucial set-back; exploration is important for their cognitive, emotional and psychosocial development. In this paper, we present a safer paediatric wheelchair: the Assistive Robot Transport for Youngsters (ARTY). 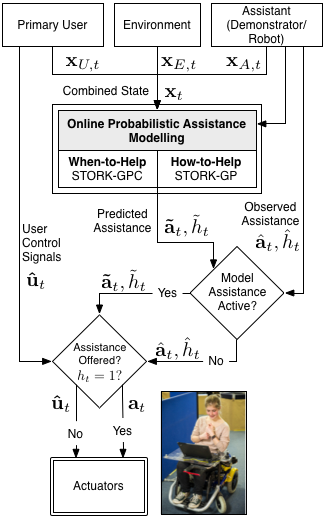 The fundamental goal of this research is to provide a key-enabling technology to young children who would otherwise be unable to navigate independently in their environment. In addition to the technical details of our smart wheelchair, we present user-trials with able-bodied individuals as well as one 5-year-old child with special needs. ARTY promises to provide young children with “early access” to the path towards mobility independence. More information about ARTY (with video).